I have to start off my review by saying “Bravo, Bravo M. Dalto” this is a wonderful start to what could be an amazing series!!! I CANNOT WAIT FOR THE NEXT BOOK!!! I am still swooning over Treyan and Alexstrayna!!! The way the prophecy brought them together. They instinctively felt right with each other, and their attraction to each other felt natural and right. The prophecy was right, they belonged together. I loved that. Although Alex was very headstrong, but i guess she would have to be. After all, she would be Empress…right? The character growth in this story is so believable, especially with the main characters. But even some of the side characters growth, it’s just so well written. Then you have Treyan’s twin brother, Reylor, he is written so well. But he is written in such a way he still has me wondering what truly goes on in his heart and his head. The dialogue is just so well written that it helps give these characters the depth they need. 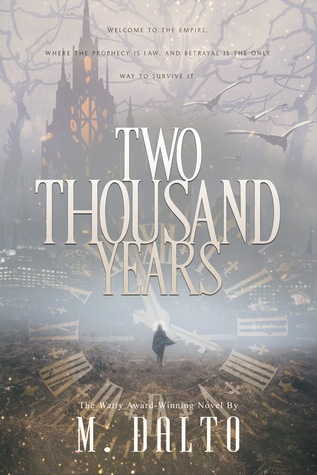 M. Dalto has been Featured on Wattpad.com and her debut story, TWO THOUSAND YEARS, won the website’s coveted Watty Award in 2016. 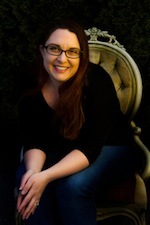 Since April 2017, she has volunteered her time as a Wattpad Ambassador, where she continues to engaged new writers and help them achieve their writing goals. Having received her B.A. in Legal Studies from the University of Massachusetts Amherst, she spends her days as a full-time residential real estate paralegal, using her evenings to hone her craft. When she’s not writing,she enjoys reading fantasy novels, playing video games, practicing yoga, and drinking coffee. As a Ravenclaw, she hails to House Targaryen while residing in the Night Court. She currently lives in Braintree, MA, with her husband, their daughter, and their corgi named Loki.